When a skeleton is discovered wrapped in a blanket in a crypt, everyone is convinced the bones must be those of Conor Devitt, a local man who went missing on his wedding day six years previously. But the post mortem reveals otherwise. Solicitor Benedicta "Ben" O'Keeffe is acting for the owners of the church, and although an unwelcome face from her past makes her reluctant to get involved initially, when Conor's brother dies in strange circumstances shortly after coming to see her, she finds herself drawn in to the mystery. Whose is the skeleton in the crypt, and how did it get there? Is Conor Devitt still alive, and if so is there a link? What happened on the morning of his wedding to make him disappear? Negotiating between the official investigation headed up by the handsome but surly Sergeant Tom Molloy and obstructive locals with secrets of their own, Ben unravels layers of personal and political history to get to the truth of what happened six years before. 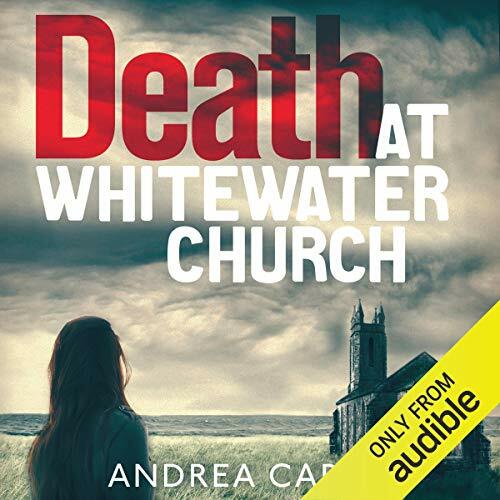 Death at Whitewater Church is the first in a series of Ben O'Keeffe mysteries set on the Inishowen peninsula in County Donegal. When a skeleton is discovered wrapped in a blanket in a crypt, everyone is convinced the bones must be those of Conor Devitt, a local man who went missing on his wedding day six years previously. But the post mortem reveals otherwise. Solicitor Benedicta "Ben" O'Keeffe is acting for the owners of the church, and although an unwelcome face from her past makes her reluctant to get involved initially, when Conor's brother dies in strange circumstances shortly after coming to see her, she finds herself drawn in.